We’re planning a slight course change for Grubulub, both here and on social media (Instagram, Twitter, Facebook), for 2018. The plan is to refocus on craft beer that is local(ish) to us here in Chico, California. With the proliferation of craft beer, breweries have become increasingly regional. For every new Sierra Nevada there will be hundreds of new breweries that mostly serve their local community, and we’re totally on board with that. To this end, we’re planning to work through a list we’ve come up with of about thirty breweries (and a couple cideries) within about 100 miles of us to feature in the coming months. Non-local craft beer content will be posted to BeerSelfie.com and the @beerselfie instagram. If this sounds good to you keep reading to find out how you can join in! Let us know what you’d like to see! 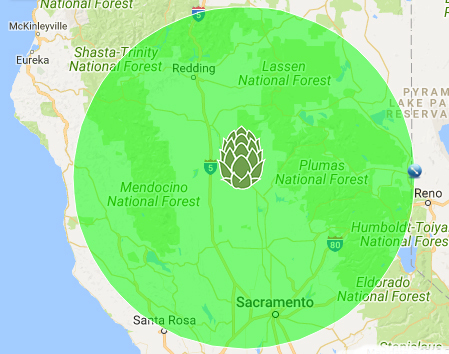 What’s your favorite Northern California brewery? What beers should we try? Hit us up! Do you writ gud? Let us know if you’d like to contribute content related to Northern California craft beer or home brewing! We’d love to review your beer, interview your crew, or come check out your brewery! Get in touch for details! If you like what we’re doing and want to reach thousands of craft beer enthusiasts, advertising with Grubulub and/or BeerSelfie might be the perfect fit!